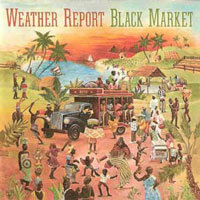 Recorded February 3-7, 1973 by Phil Giambalvo at Connecticut Recording Studio, New Haven, Connecticut. Special thanks to Billy Rose and Connecticut Recording Studio. Indeed, Sweetnighter was something else. 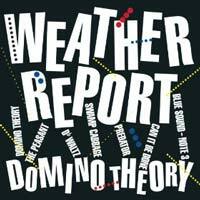 Zawinul began to assert greater control of band, steering it away from the collective improvisation that marked its live performances toward more structured compositions emphasizing funk and groove. 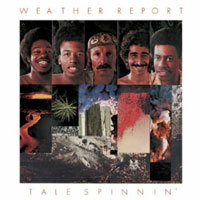 This was exemplified by the album’s two dominant tracks, “Boogie Woogie Waltz” and “125th Street Congress,” as well as the closer, “Non-Stop Home.” Other tracks were reminiscent of Weather Report’s previous albums, making Sweetnighter a transition from the band’s first phase to what one might call its mature phase. Since the band’s music (like all music, but here especially so) is beyond description, the usual Caught play-by-play yields no opinion, analysis, reaction. Not without justification, as a post-mortem discussion with Zawinul indicated that the magic, brought about by inspired interplay and so plentiful and joyous the previous (opening) night, was most elusive this night. 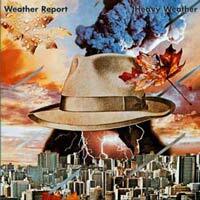 And with a group like Weather Report, if the rabbit doesn’t appear, all you have left is an interesting-sounding hat. Grávátt left the band shortly after Sweetnighter. He said he was going to quit music, but then he got a call to work with Minneapolis’ best known jazz group at the time, Natural Life. He moved there in 1974, where he resided for nearly 30 years, raising his family, working as a prison guard, and playing occasional gigs in the Twin Cities area. He became disillusioned with the music industry. “People keep offering me novice fees to come out of the house with 350 pounds of drums and three adult human beings (his sidemen),” he said in 1996. “I can’t do it, man. They want to pay me $50 a night. I was making $100 when I was 16. I have a mortgage, I don’t get free gas, and my children have to be educated. I have a life. I can’t spend it chasing down $50 gigs.” In a 1996 interview he was asked if he was bitter toward the music industry. “I don’t feel that I’m bitter,” he said. Angry? “I don’t feel particularly angry.” Frustrated? “No, if it was that, I’d be out in the street.” Disappointed? “That’s closer, I guess. But only with the business side of jazz.” [SPPP96] Nevertheless, Grávátt continued to maintain a presence in the Twin Cities jazz scene, teaching and performing with his band Source Code. In 2004, Grávátt reunited with McCoy Tyner, touring with his big band. In 2005, Grávátt returned to his native Philadelphia, and has been performing with Tyner and bassist Charnett Moffett to rave reviews. The other drummer Zawinul hired was Herschel Dwellingham. He started his career while in high school in Louisiana, and upon graduation attended the Berklee School of Music. He started his first record label while in Boston, and he moved to New York in 1973, where he became a top session drummer and honed his producing and arranging skills. (Helva Records and boguemagicityrecords.com.) His drumming credits include work with Mongo Santamaria, Fats Domino, The Escorts, Stephanie Mills, Harry Chapin, and Johnny Mathis. The musician on Sweetnighter credited simply as “Muruga” is Steve “Muruga” Booker, a drummer and percussionist who has played with a range of musicians and styles, perhaps most notably George Clinton and P-Funk All-Stars. It is possible that Muruga came to Zawinul’s attention through folk singer Tim Hardin. 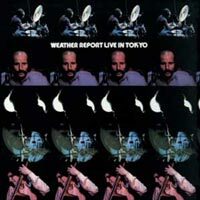 Muruga performed with Hardin at Woodstock in 1969; Zawinul, Vitous and Weather Report’s original drummer Alphonse Mouzon all played on Hardin’s 1971 album, Bird On A Wire. 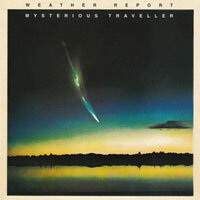 So far as I know Muruga never performed with Weather Report live, though he did return to the studio to record “Nubian Sundance” on Mysterious Traveller. Vitous recorded another version of “Will” on the 1978 album Rypdal, Vitous, DeJohnette with guitarist Terje Rypdal and drummer Jack DeJohnette. 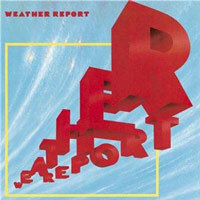 This remix of “125th Street Congress,” by DJ Logic in 2005, was originally released in 2006 on Forecast: Tomorrow, and is included as track 7 on the version of Sweetnighter that was released in 2012 as part of the boxed set Weather Report The Columbia Albums 1971-1975. Jazz Group of the Year, 38th Annual Down Beat Readers Poll. 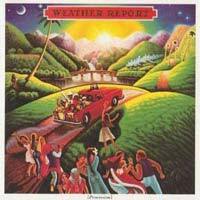 Billboard chart peak: Jazz Albums, 2; R&B Albums, 41; Top 200 Albums, 85. It may be worth saying that Adios, which is such a simple and beautiful track, was used as the audience playout music at the end of live performances for years. It was always such a great way to leave the concert, I saw the band many many times, and each time this track was played. It kinda grounded you back into the world, and also gave long term fans a wave to their long term listening I think. 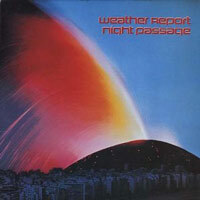 In the later concerts I would hazard that many in the audience didn’t even know that they were still listening to Weather Report as they left their seats. I remember that well, and think of it almost every time I listen to it. It had that effect on me as I left the concert halls back then. I also remember mentioning it at the time, and you’re right, many people weren’t aware of it. I always loved that track, but Manolete, and Will, are two tracks that I kind of missed on back then. Manolete stays in my head for days, and nights, after I listen to it. 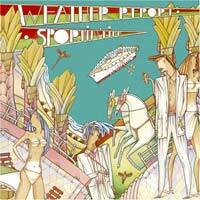 I never fully appreciated this album until revisiting it the last several months. 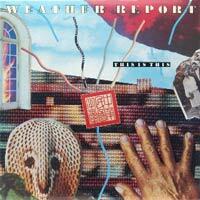 Sweetnighter has been the first Weather Report album I listened to in my life. I think my dad brought it home right after it came out and he put it on the turntable. 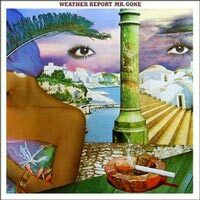 I was a kid and that music entered my mind and my soul immediately: along the years I got all of Weather Report’s albums and I also met the band. 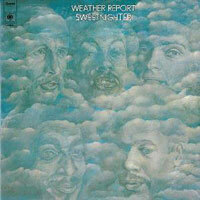 I like all Weather Report’ music but Sweetnighter will be my favorite, also because it reminds me of my childhood. 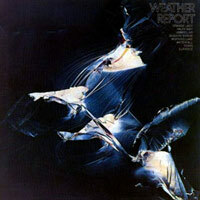 My friend and I attended a Weather Report concert in 1973 or 74 in Pittsburgh. Somehow we managed to get backstage after the show ended. 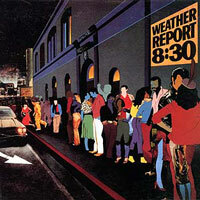 We were standing outside a dressing room door next to Joe Zawinul, Miroslav Vitous and others. A police officer came as the dressing room door was opened and we just went along with the rush into the dressing room. The door was closed by the officer who remained outside. Zawinul took out a small pouch and began smoking pot from a small pipe and shared with us after I presumptuously asked for a hit. He didn’t talk to us much but rather to his people. Miroslav, very tall in person, seemed to ignore Joe smoking up and was making small talk standing back from Joe against the wall. A half hour or so later the dressing room door opened and I followed behind as Zawinul walked by himself to the stage and began to take down his keyboards. I said to him, “Joe, maybe you should get a second 2600 so you wouldn’t have to change patches as much. He looked at me, said nothing for what seemed a long time, nodded and said -exact quote- “Yeah, I should do that”, then silently returned to packing up his stuff. The next year I noticed in some magazine photo that Joe was using two Arp 2600’s on stage. I think this is my favorite Vitous-era album (except possibly the first album), but I am curious about one thing: does Joe play an electric organ on Non-Stop Home, or is that just an intricate synth program on his Arp? Hi Kohl. 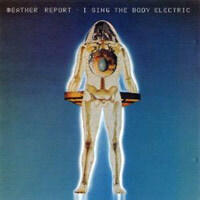 That is the Fender-Rhodes electric piano processed with a ring modulator and an Echoplex. Yeah, I think the sustained sounds at the end are from an organ. At the time, Joe had a small Farfisa organ, so it could have been that.